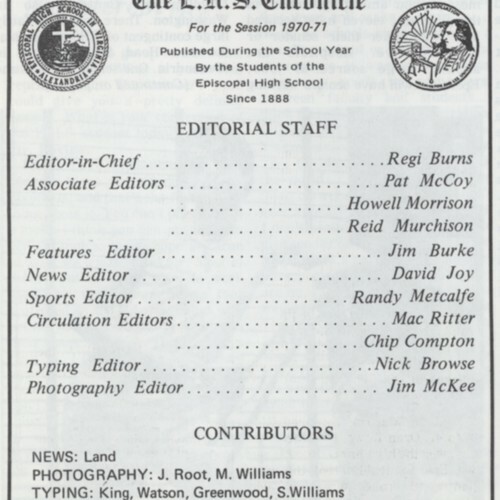 The listing of the editorial staff and contributors of the E.H.S. Chronicle during the 1970-71 school year. Copyright © 2018 Episcopal High School - All Rights Reserved. This file is part of EHSHistoryProject. EHSHistoryProject can not be copied and/or distributed without the express permission of Episcopal High School of Alexandria, Virginia. Chronicle Staff, “The E.H.S. 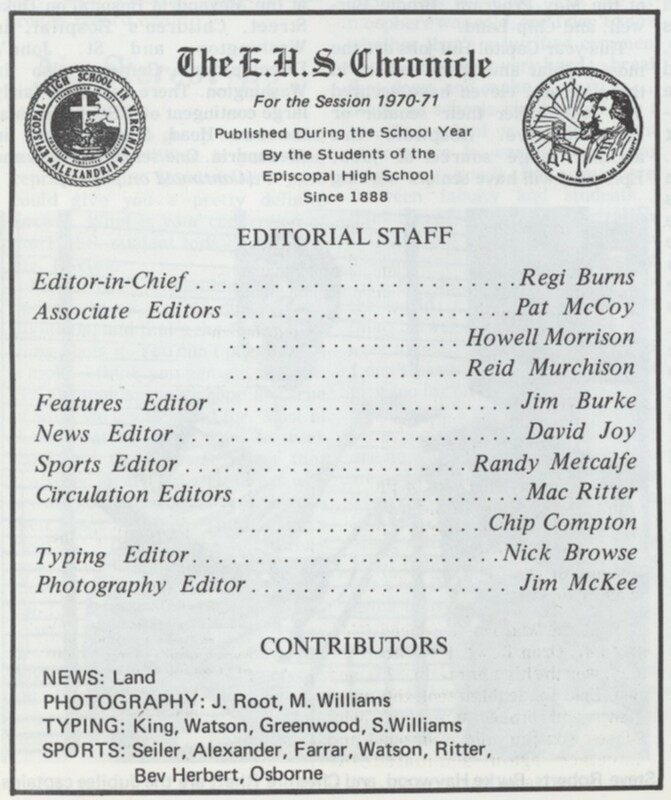 Chronicle Newspaper Staff: For the Session 1970-71,” EHS History Project, accessed April 22, 2019, http://ehshistoryproject.org/items/show/76.